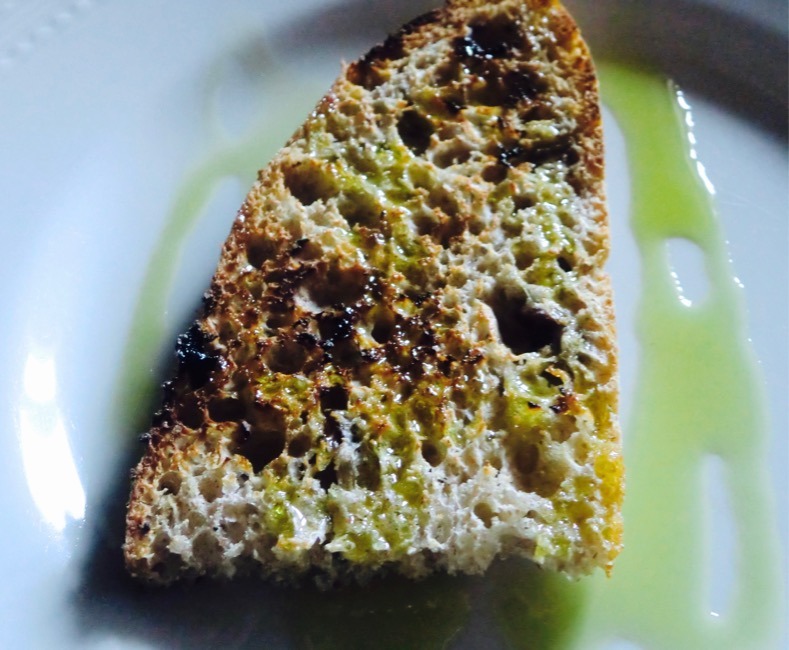 This is the first extra virgin olive oil of 2017 from Montalcino. We had very hot and dry summer so we were worry about the grape or olive. But look this! So green so fresh oil is came out!